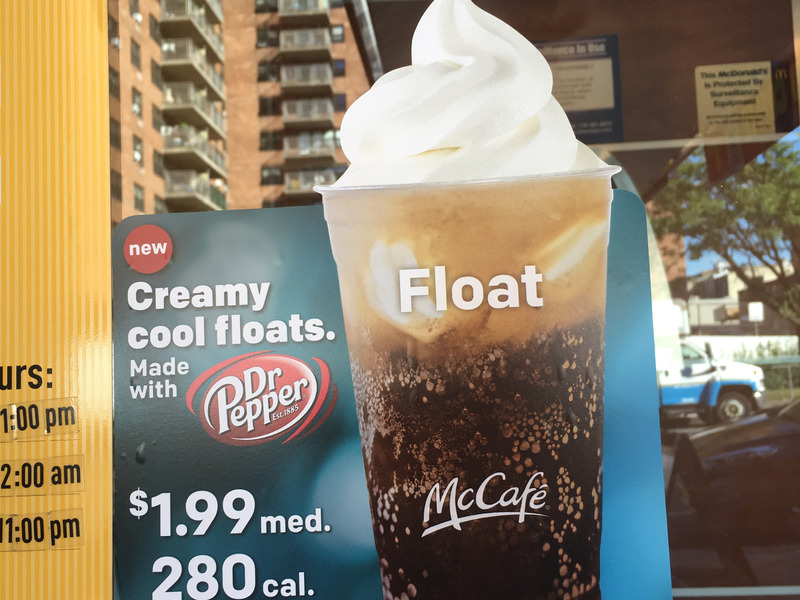 For what appears to be the first time ever, McDonald’s is selling the McFloat in the US. 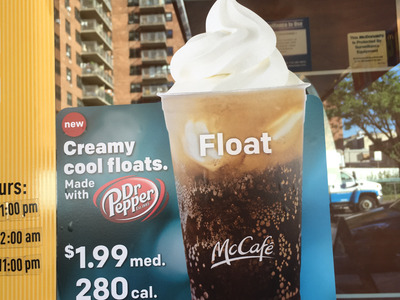 Select McDonald’s locations in New York and Seattle are now serving up a float made with Dr. Pepper and soft-serve ice cream. “As part of our journey to build a better McDonald’s, our franchisees have more flexibility than before to offer new menu items like breakfast bowls, Gilroy garlic fries and yes, the Diet Dr. Pepper Float,” McDonald’s spokesperson Terri Hickey told Business Insider. Indonesia. 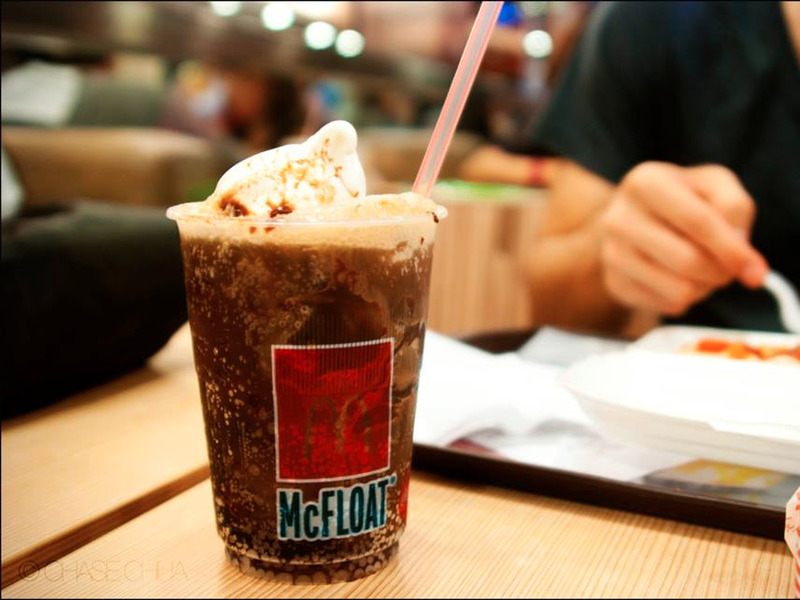 However, while McDonald’s wasn’t able to confirm that McDonald’s has never served a McFloat in the US, the beverage has never been sold nationally and Business Insider was unable to find evidence of other local offerings of the float in America. Internationally, the drink has been made with a wide variety of beverages. The Coke McFloat seems to be the international go-to, but the chain also serves up options such as the Philippines’ Green Apple Sprite McFloat and Indonesia’s Iced Coffee Float. Most online reviews, including one by James McGowan, who has visited McDonald’s restaurants in 53 countries, say it’s a straightforward drink that tastes pretty much like you would expect ice cream plus soda to taste. 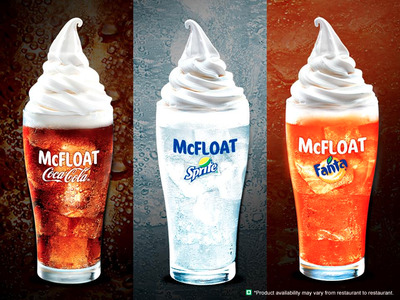 If you like McDonald’s soft serve and soda floats, you’ll probably enjoy the McFloat — if your local restaurant ever decides to serve the sweet drink. A medium McFloat is being sold for $1.99 in the Park Slope neighbourhood of Brooklyn, New York. Since the float is a local offer, if you’re craving a comparable experience, you could buy a cup of Dr. Pepper ($1.29) and a vanilla soft serve ($1) and create a McFloat of your own for a comparable price. The debut of the McFloat in the US is part of a wider move at McDonald’s to test more local options, such as garlic fries in San Francisco and Chobani Greek yogurt at 800 locations in California. The chain is also testing fresh beef in 14 restaurants — something that could be a game changer if expanded across the US.